A delegation of industry representatives will converge on the Sydney harbourside to enjoy the Australian earthmoving industry’s night of nights, the Earthmover & Civil Contractor Awards. Now in their fifth year, The Earthmover & Civil Contractor Awards will recognise individual achievement, technology advances and industry contributions and will also include the announcement of the 2016 Newsmaker of the Year Award and the 2016 inductee into The Earthmover & Civil Contractor Hall of Fame. 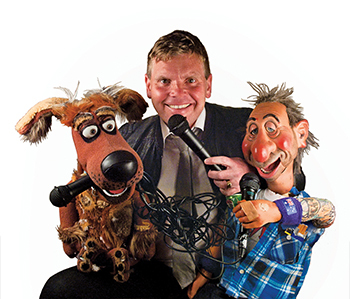 Comedian, ventriloquist, and MC, Dean Atkinson has been entertaining Australians for over 20 years. Considered one of our nations funniest performers, he combines comedy, skits, ventriloquism, including his well-known characters Fetch, Stan, and Penelope. Dean debuted on Australia’s Got Talent and has since performed or appeared on every single national TV network in Australia, as well as television programs all around the world. A regular at comedy clubs, exclusive functions, corporate events, and cruise ships, Dean will have the Earthmover & Civil Contractor Awards in stitches all night.